India is on the verge of becoming the most populous and youthful democracy in the world. Realising the potential, Youth4work, a leading online platform is helping the youth to become employable. It is also one of the most trusted platform by youth and has recently crossed 2 million users. Youth4work is playing a major role in helping the youth to introspect, self-assess, improve and showcase their talents – reaping the demographic dividend by pursuing the youth towards skill development opportunities aligned to industry standards. The present-day jobs are skill-oriented and the demand of hiring skilled people is higher than those with just the degrees. 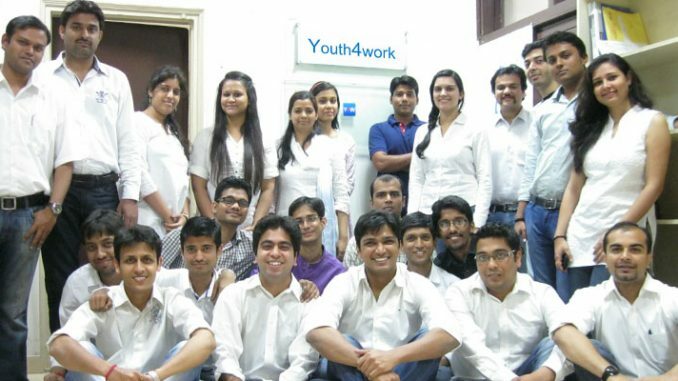 Startups like Youth4work, provides the opportunities to adapt to the changing landscape of the industries. It is estimated that on an average 2 million youth will join the workforce every month for the next decade as Youth4work, with one-of-its-kind technology platform, is helping the youth to access the real time data on opportunities in the market for salaried jobs and entrepreneurship. It has partnered with industrial bodies and training providers working towards making India the skill capital of the world in the next few years. “Talent acquisition scenario is changing and employers now hire people with particular skill sets. In the last 3 years,we have grown from 10,000 to 2,000,000 users enabling them to self-assess through skill tests from the comforts of their home, improve and showcase their skills to find opportunities,” says Rachit Jain, Founder and CEO, Youth4work. India has a long way to go where these soft skills are concerned, but educational institutions and training experts are slowly filling the gap through vocational learning, development and training and helping to harness capital for higher national growth.With a million users, growing exponentially, Youth4work has undoubtedly redesigned the approach to education and careers for youth in India.